Researchers at Tohoku University have found a promising treatment for Alzheimer’s disease, by noticing a similarity in the way insulin signaling works in the brain and in the pancreas of diabetic patients. The research group, led by Dr. Moriguchi and Professor Kohji Fukunaga of the Graduate School of Pharmaceutical Sciences, thus concluded that Alzheimer’s disease can be described as a diabetic disorder of the brain. Memantine, a drug widely used to treat Alzheimer’s disease, is a well known inhibitor of the N-methyl-D-aspartate (NMDA) receptors that prevent excessive glutamate transmission in the brain. 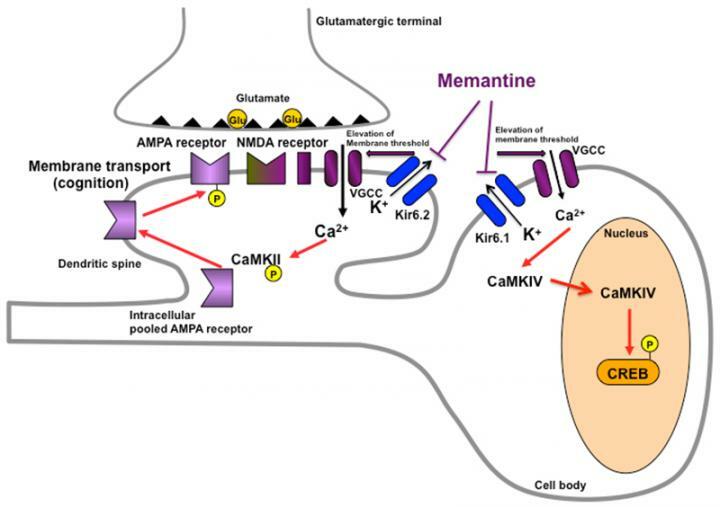 Researchers have now found that memantine also inhibits the ATP-sensitive potassium channel (Kir6.2 channel), improving insulin signal dysfunction in the brain. In their experiment with mice, the researchers found that memantine treatment improved impaired hippocampal long-term potentiation (LTP) and memory-related behaviors in the mice through the inhibition of KATP channel Kir6.2. The researchers now hope that results of their study and the parallels drawn with diabetes, will lead to new treatments for Alzheimer’s disease, using the inhibition of Kir6.2 channel.